I don't know about you, but the idea of having abs or at least a toned stomach has been a desire I've had for quite a long time. 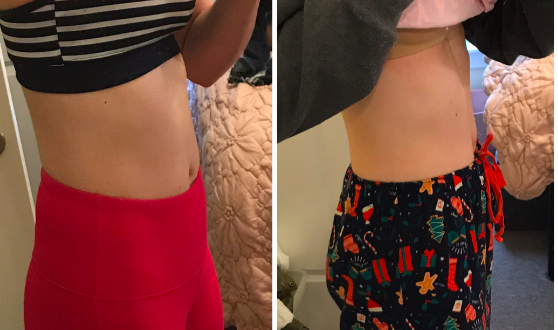 I cannot tell you how many times I have scrolled through Pinterest looking at inspiration photos, transformation photos, and workout challenges without actually acting on anything. The other day, I came across the 200 Crunches a Day for One Week Challenge on Youtube and found it super intriguing. It sounded simple enough, doing 200 ab crunches each day (preferably in one session) for one week straight. Some of the women whose videos I watched achieved pretty dramatic results. I thought, "I can do that. That doesn't sound too bad." So, I figured why not try it out? I sit here now feeling disappointed. I don't see much of a difference in the definition of my stomach at all. I guess I shouldn't have expected a visible difference because it seemed too good to be true, but I thought just maybe it would work. Well, as you can see there is little to no difference in my abdomen sadly. It works for some people so I'm glad that I at least gave it a shot and stuck to it. Now, I'm just going to continue doing ab exercises several nights a week and see if over time I see any progress. 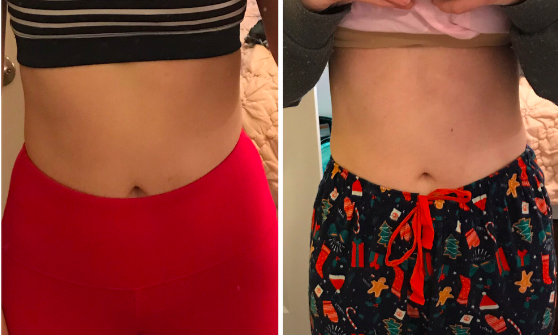 Even though it wasn't the dramatic change I was hoping for, I am proud of myself for doing the 200 Crunches a Day for One Week Challenge and encourage anyone who is curious to try it out! Progress takes time and lots of effort but anyone can achieve their fitness goals if they are dedicated enough. Believe in yourself and work hard, and sure enough, you will see improvement!